Your specialist marine sales, service and repair centre since 1995. Proud suppliers of Senator, Smartwave and Mac boats, along with Evinrude, Suzuki & Parsun outboards. Let us create your dream boat today. We service and repair most makes and models with access to parts for all current brands. We're Hawke’s Bays authorised dealers for Senator Boats, Smartwave Boats and Mac Boats. Together with our leading outboard motor brands let us create the perfect package for your needs. We are Hawke's Bay fully authorised dealers on SUZUKI, EVINRUDE ETEC and PARSUN Outboard Motors. Fully trained and with all the latest equipment and genuine parts and accessories we'll help you choose the right motor. 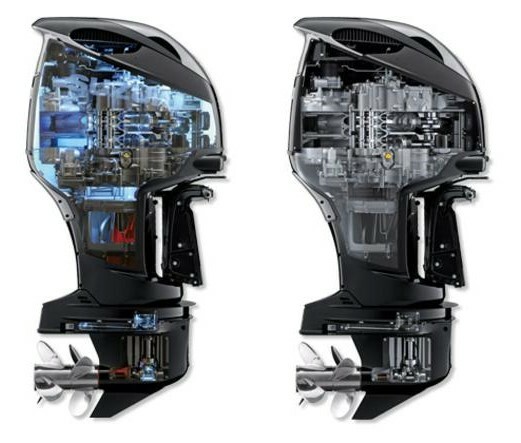 Check out the amazing new Evinrude G2 ETEC and Suzuki 4-Stroke options in store, and click on the links below to go to the manufacturers website. We sell new and used boats and motors, and can help sell your existing boat on-behalf. Get in touch today to discuss options for your new boat or to see how we can upgrade your existing rig. We're buying and selling boats and motors all the time. Please click on the TradeMe link below to see all our current listings. Please contact us directly to find out what else we have coming soon. We stock and have access to marine parts for most makes and models. At Hawke's Bay Marine we have full workshop facilities and the latest diagnostic equipment. Pre-purchase & Pre-sales inspection and reports. We work on most makes and models and have access to genuine and aftermarket parts for all major brands. Don’t forget to book in for winter motor servicing, and be ready for summer. Use the form below for all general enquires and to book your next service. We’re always interested in talking to talented people.